The search for eternal life isn’t new, but how far we’ve come from the Holy Grail, the Fountain of Youth and the hidden valley of Shangri-La, is truly a sign of the times. Today, the crossroads meet between the natural tendency to find an easy way out, and the seductive promise of profits. The quest is on for how to put longevity in a pill. Classifying age as a disease means insurance companies will cover treatment. The FDA just paved the way. Two years ago, investigators convinced the FDA to green-light a human lifespan study of Metformin, a drug currently used as first-line treatment for blood sugar control in type 2 diabetes, and off-label for polycystic ovary syndrome, weight control, and cancer prevention. If successful, Metformin will be the first drug to be FDA-approved for the indication of aging, but it won’t be the last. With a potential audience of 7½ billion people worldwide, pharmaceutical companies will race to fund clinical trials for the discovery of new, more expensive drugs. High levels of blood sugar and insulin are important factors in degenerative disorders, cardiovascular disease, cancer, and aging. Metformin lowers blood sugar in two ways, by using it efficiently and preventing its production in the liver. This, in turn, lowers insulin levels and insulin resistance. The drug intrigues researchers because its protective effect on aging goes beyond the power to control sugar and insulin. Everything Metformin can and might do for healthy aging can be achieved with lifestyle choices. The TAME Study (Targeting Aging With Metformin) began in 2016, aiming to enroll 3,000 seniors, ages 70 – 80, and study them for 5 – 7 years at 15 centers across the U.S. Study subjects can have or be at risk for any or all of 3 common aging conditions: cancer, heart disease, and dementia. The study excludes type 2 diabetics because the effect of Metformin has already been shown in that group. The question is whether Metformin can delay or prevent cancer, heart disease, cognitive impairment, diabetes and death in non-diabetics. If it does, the obvious next step is to test it for use in much younger people. Clues about Metformin’s role in anti-aging come from studies of fruit flies, roundworms, and mice. Most of the credit goes to an enzyme few people have heard of, AMPK (adenosine monophosphate-activated protein kinase). AMPK regulates how cells process energy, which, when working well, helps prevent all of the chronic diseases associated with aging, and aging itself. The goal is to activate AMPK to gain its benefits and live a healthier, longer life. Is Metformin the anti-aging miracle drug researchers hope for, or will it go the way of some other FDA “miracles” before it? Fen-Phen Vioxx, Meridia, Baycol, and DES, are just a few that come to mind. Aging is a chronic, inflammatory process that leads to a loss of structure and function, impairing both healthspan and lifespan. Aging is best addressed with health and longevity promoting strategies, not disease prevention. Aging is multifactorial. Elements that benefit or harm longevity work together in synergy. The magic bullet approach, focusing on one aspect of disease, works for simple problems like treating a strep throat with penicillin, but disappoints for complex chronic disorders and aging. It has failed over and over, but investigators refuse to let it go. FORTAMET® Extended-Release Tablets. In addition to the active ingredient metformin hydrochloride, each tablet contains the following inactive ingredients: candelilla wax, cellulose acetate, hypromellose, magnesium stearate, polyethylene glycols (PEG 400, PEG 8000), polysorbate 80, povidone, sodium lauryl sulfate, synthetic black iron oxides, titanium dioxide, and triacetin. Metformin may promote Alzheimer’s Disease. Type 2 diabetes is a risk factor for Alzheimer’s, so researchers assume drugs that treat diabetes will prevent dementia. Unfortunately, studies link long-term Metformin use to a greater risk of developing AD and worsening its progression. One study proposed this occurs because the drug increases production of beta-amyloid, a protein universally recognized as a hallmark of Alzheimer’s. Studies suggest Metformin may accelerate existing cancer and cancer-related mortality by promoting AMPK-induced cellular uptake of glucose, which effectively feeds the tumors cells. Aspirin, a more widely used drug than Metformin, also activates AMPK and may be a safer choice if going the drug route. Metformin is pro-inflammatory. Generally, when something sounds too good to be true, it is. Activating AMPK promotes longevity, but isolating one strategy from the context in which it normally occurs, is like a game of Jenga: disrupt the delicate balance and the whole thing falls apart. 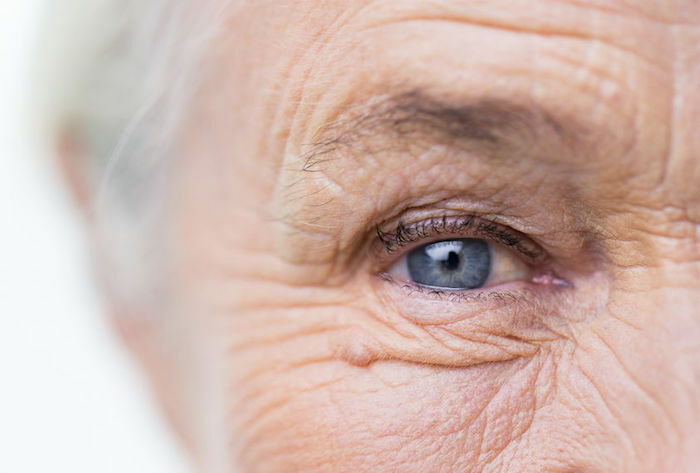 Natural anti-aging approaches exist and have been scientifically validated. They take commitment and they’re not easy but they avoid the inevitable downside of chronic drug use. They activate AMPK and all of its interrelated systems. Calorie restriction is the most successful method of slowing and reversing markers of aging. The idea is to lower calorie intake a moderate amount to induce a healthy level of stress that strengthens cells and organ, but not so much as to cause malnutrition. The ongoing CALERIE study is monitoring healthy individuals committed to a 25% reduction in caloric intake. So far, results are promising. Intermittent fasting (also known as “time-restricted feeding”) is an alternative to calorie restriction. Confining eating to an 8 to 12-hour daily window reduces inflammation and free radical damage, and has been shown to fight dementia, cancer and promote longevity. Exercise uses up energy, which activates AMPK. High intensity, short interval exertion is especially effective. Muscle contraction during both aerobics and weight training stimulates AMPK and increases insulin sensitivity. Cold water immersion after exercise enhances AMPK and cellular renewal. Going from the sauna into the plunge pool, or taking an ice cold shower after a workout are easy ways to practice cold shock. It’s great training for the annual Polar Bear Challenge. Get good sleep. Impaired quality and/or quantity of sleep is incompatible with long-term health. For example, obstructive sleep apnea is related to a 20% reduction in life expectancy, weight gain, heart disease, diabetes, earlier than average age of onset of memory disorders and cognitive impairment. Melatonin, the sleep hormone, activates AMPK and cellular rejuvenation, protecting against cardiovascular and other sleep deprivation related disorders. Acupuncture is effective in treating obesity and improving cognitive function. It upregulates AMPK in the hippocampus, the brain center for short term memory and ground zero for the development of Alzheimer’s Disease. These and other natural anti-aging strategies are consistently practiced in Blue Zones, unrelated regions around the globe where the most long-lived people are found. Drugs and “longevity genes” are not the reason this Guinness World Record-worthy group boasts a large number of centenarians. Their way of life is the secret sauce for extending healthspan and lifespan. Whatever your age, it’s never too late for a healthy system reboot. Start now, by adopting a lifestyle game plan that promotes healthy longevity. Nearly one out of every three drugs approved by the Food and Drug Administration (FDA) have a new safety issue detected in the years after approval, says a Yale-led study. While most of the safety concerns are not serious enough to require withdrawal of a drug from the market, the finding highlights the need for ongoing surveillance of new drugs in the post-market period, said the researchers. The findings were published May 9 in the Journal of the American Medical Association (JAMA). To assess new drugs for safety and effectiveness, the FDA relies on premarket drug testing and clinical trials. Most of the trials involve fewer than 1,000 patients studied over a period of six months or less, making it difficult to detect safety issues that might be identified once more patients use the drug over a longer time period. To identify factors that might enhance patient safety and regulatory surveillance efforts, the Yale-led team analyzed data on new drugs approved between 2001 and 2010, with follow up through 2017. The research team, led by associate professor of medicine and public health Dr. Joseph Ross, found that 32% of new drugs were flagged for a safety issue after approval. “That is very rarely a drug withdrawal, but more commonly a black box warning, or drug safety communication issued by the FDA to let physicians and patients know that new safety information has been determined,” said Ross. 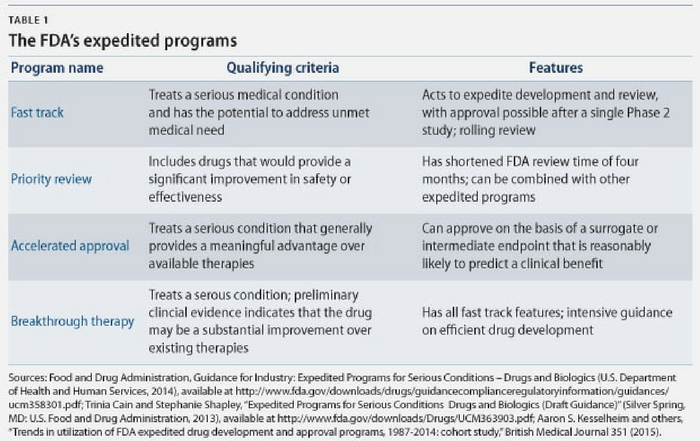 The researchers also identified characteristics of drugs that were more likely to be associated with a safety concern, including biologic therapies and drugs that were approved through the FDA’s accelerated approval pathway. While the study results point to the need for ongoing monitoring of newly approved drugs, they also demonstrate that the FDA’s current process is working. “The fact that the FDA is issuing safety communications means it is doing a good job of following newly approved drugs and evaluating their safety up in the post-market period,” Ross noted. At a time when the FDA is under pressure to accelerate drug approvals, the study findings provide key information about the agency’s process. “It shows that there is the potential for compromising patient safety when drug evaluation is persistently sped up,” said Ross. At the very least, the study should inform ongoing debate about premarket drug evaluation, the researchers said. Other authors on the study are Nicholas Downing, Nilay Shah, Jenerius Aminawung, Alison Pease, Jean-David Zeitoun, and Harlan Krumholz. All authors have completed the ICMJE Form for Disclosure of Potential Conflicts of Interest, which are detailed in the study. NOTE: under Trump, the FDA is urged to speed up the drug-approval process. It’s good for business. For patients, it’s a disaster on top of the already existing disaster. Readers have noticed I’ve been redoubling my efforts lately to expose medical crimes. This circus of madmen needs exposing. Medical criminals are leeches on the public body. They will say and do anything to maintain their position of authority. They will say their fantasies are fact. They will say their toxic drugs are cures. They will say their useless and fake diagnoses are real. They will, when they work for drug companies, claim their latest maybe-could-be-hope-so breakthrough innovation is right around the corner. As they work on their victims, they will deny they are sucking the life blood out of them. They will say they are helping them. And they will defend themselves as scientists. This is my experience working as an INDEPENDENT reporter for 35 years. This is my experience investigating the center-stage area of the medical system: the long-term treatment of illness that goes on and on, from one diagnosis to another, one toxic drug to another, as people are brought into the circus, as they are guided through the circus for their whole lives. The whole circus is fake. It’s a delusion. It’s money. It’s profit. It’s control. It’s poisonous. It’s the rigor of the parasite feeding on its victim. The way to get out of it is to get out of it. Over the years, I’ve had the ambition and the determination to document these medical matters. I’ve found evidence by the truckload. I’ve approached readers from many different angles with that evidence. I continue to do so. What keeps me going is my perception of the circus—that it is a presentation of reality, a whole-hog reality, invented from scratch, by fools and liars and pretenders and psychopathic criminals. What keeps me going is the understanding that the other side is: revolt—which includes people creating their own reality, the reality they truly want. The leeches know they need us for their sustenance. They are trying to pass laws that will make it mandatory for us to line up and watch them work on us—new laws, more laws. More binding laws. So freedom is the clarion call. Freedom dispels the delusions and exposes the fakers. Freedom means people choose how to deal with their own bodies and minds. Freedom is the silver bullet to the vampiric lunatics. Freedom is the imperative. And freedom never goes away, even for the most abject slave. It comes to him in his dreams. Freedom is the essence. You look at it, you take it. You stand with it. You launch from it. Mainstream medical reporters—the most entrenched ones—are a low breed. They defend the leeches. They rally the public, who, hypnotically and aggressively (knowing nothing) stand for “science.” This is the great joke in the middle of the circus. The great, cruel, enduring joke. The drug was approved, by the FDA, for public use in 1993, to treat schizophrenia, a “mental disorder” for which there is no defining diagnostic test. No blood test, no saliva test, no brain scan, no genetic assay. In 2006, the FDA approved Risperdal to treat “irritability” in autistic children. There is no defining diagnostic test for autism. 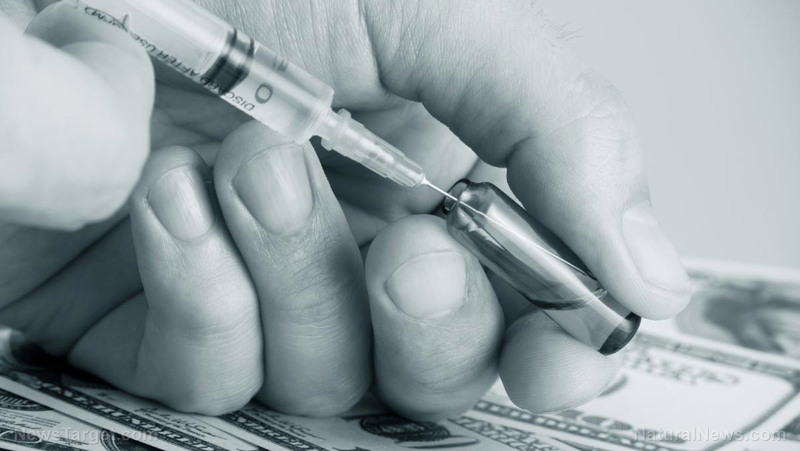 The neurological damage involved can come from any cause—especially vaccines. But of course, all public health agencies deny this fact. In 2007, the FDA approved Risperdal to treat bipolar disorder in children between the ages of 10 and 17. Bipolar is another “mental disorder” for which there is no defining diagnostic test. Risperdal was approved to treat three conditions, which are diagnosed by casually observing a patient’s behavior and comparing it to a menu of behaviors called schizophrenia, bipolar, and autism. If the drug had no adverse effects, that would be one thing; but it has devastating effects. Tardive dyskinesia, a permanent “movement disorder” that signals brain damage. Suicide. Gynecomastia—boys grow female breasts. Before I go on, NOTE: Rapid withdrawing from psychiatric drugs can have disastrous effects. See Dr. Peter Breggin on this subject. 2012: J&J fined $1.2 billion for hiding adverse effects of the drug. Decision overturned on appeal. 2012: J&J paid out $181 million for actively promoting off-label uses for Risperdal. Doctors are permitted to prescribe a drug for unapproved uses, but drug companies cannot legally promote or urge doctors to wander into that off-label territory. 2015-2016: There are at least 1500 suits against J&J for causing boys to grow female breasts. Thus far, three verdicts have been decided in favor of the boys, for $1.75 million, $2.5 million, and $70 million. The story of Risperdal expands and explodes when we consider the marketing effort behind it. Basically, the hustle involved claims that the drug could be used to treat a wide array of so-called disorders in children. There is more. Much more. I suggest you read Caplan’s entire article. In a half-sane world, she would have been awarded the highest possible honors for her work. Risperdal. The long and winding trail. The severe damage. The hustle, the con. The crimes. The lack of criminal prosecutions. Brought to you by high authorities in the psychiatric profession and their allies. A public revolt against the drugs and the pushers is necessary to stem the tide of poisoning. Welcome to the circus, boys and girls. Parades, animals, acrobats, clowns, all colluding to approve lethal drugs for public use! Watch people take the drugs and fall down, watch them carted off in colorful cars to hospitals, where the doctors will have no idea what’s causing the life-threatening injuries! 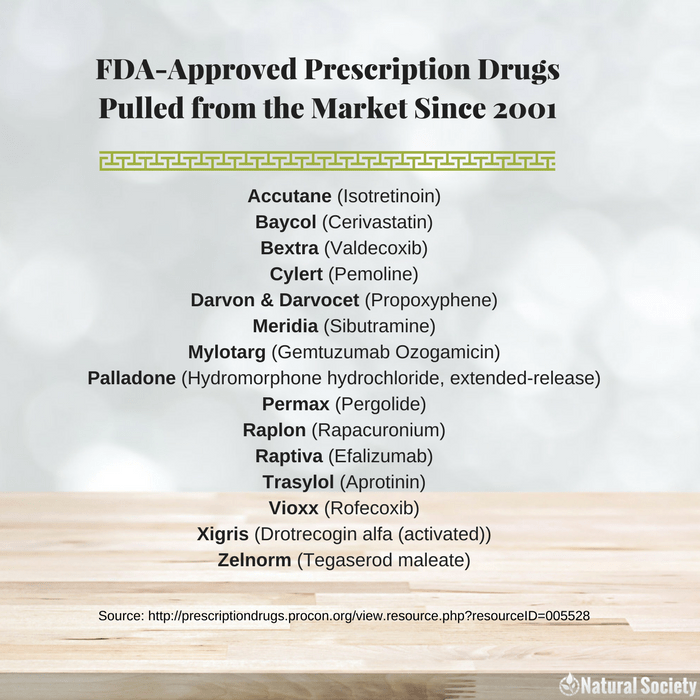 It’s wild, it’s crazy, and it’s brought to you by drug companies and their enablers at the FDA! It’s all covered by insurance. We’ve got cotton candy, popcorn, ice cream for the kiddies, and everybody can get in under the big tent! It’s the biggest game and the biggest hustle in town! All right, that’s my recap. BUT suppose the drugmaker and the government (FDA) both cheated and lied and committed multiple crimes, during the clinical trials of the drug leading up to its approval for public use? It turns out someone has been investigating those clinical trials of Xarelto, and he has uncovered stunning secrets. His name is Charles Seife. He is a professor of journalism at New York University. Lawyers for the plaintiffs in the 18,000 lawsuits against Xaraelto, take notice. This is information you want to have at your fingertips. Seife can provide many details—here I’m just presenting his overview. Seife is pointing out that the FDA never alerted The Lancet that the published report on the Xarelto clinical trials was false through and through. Basically, Seife is stating that the FDA found horrendous distortions in the clinical trials of Xarelto—and yet the agency approved the drug, as safe and effective, for public use. —And then people taking the drug began to experience dire “adverse effects,” like uncontrolled bleeding. And now we have 18,000 lawsuits against Xarelto’s parents, Bayer and J&J. I’ve written many articles about the criminal agency called the FDA (article archive here). For stark revealing light, consider an interview relentless medical reporter, Martha Rosenberg, conducted with an FDA employee, whose job was reviewing new drugs and offering an assessment of their safety and efficacy, prior to agency approval or rejection. The FDA colludes with a drug manufacturer to hide the dangers of a new drug that should never have been approved. The drug assaults people and causes grievous harm. Based on this article, and many others I’ve written exposing the FDA, I would say the agency is in charge of internal and domestic chemical warfare against the American people. There. Is that clear enough? Update—the first lawsuit against Xarelto, in New Orleans, has just been decided by a jury. They have ruled in favor of the drug companies, Bayer and J&J, and against the plaintiff, Joseph Boudreaux. The major (narrow) issue in the case seems to have come down to this: did the drug companies failed to warn physicians about bleeding risks associated with Xarento? The jury said Bayer and J&J DIDN’T FAIL TO WARN. This is what happens when plaintiffs’ lawyers are too dim to see the big picture I presented in this article—or when a presiding judge keeps denying the right to introduce relevant evidence against a drug. What about the 18,000 Xarelto lawsuits against Bayer and J&J that are waiting in the wings? Right now, the plaintiffs’ lawyers are scrambling to re-think their strategies. It’s possible that, eventually, all 18,000 cases will be settled, not tried in court. If that happens, the people who have been damaged by Xarelto could each receive a minimal payout for their suffering. NOTE TO PLAINTIFFS’ LAWYERS: Reveal, in court, the criminal collusion between the FDA and Bayer and J&J. Expose the crimes they committed in order to get the highly dangerous Xarelto approved for public use in the first place—when it should have been rejected and all the stocks destroyed. Put THAT in front of a jury. On January 10, 2017, the American Academy of Pediatrics (AAP) issued a press release to express its opposition to a federal commission that has been proposed by the Trump administration to examine vaccine safety and efficacy. The AAP argues that since we already know that vaccines are safe and effective, therefore there is no need for further examination into their safety and efficacy. This argument, however, begs the question — it presumes in the premise the proposition to be proven (the petitio principii fallacy). And the press release itself illustrates why, apart from the question of whether there should be a federal commission, critical examination of public vaccine policy is very much warranted. Claims that vaccines are linked to autism “have been disproven by a robust body of medical literature”. Claims that vaccines “are unsafe when administered according to the [CDC’s] recommended schedule” have likewise “been disproven by a robust body of medical literature”. According to the AAP, its own claims are backed by solid science. Yet when asked whether it could provide citations from the medical literature to support its claims, the AAP first failed to do so, then essentially offered a “No comment” when pressed for a comment about its failure to do so. Can you please direct me to any studies in the peer-reviewed medical literature showing any vaccine prevents cancer? Can you please direct me to the studies you are referring to in this body of literature that took into account the possibility of a genetically susceptible subpopulation? Can you please point me to the studies in this body of literature that have compared health outcomes, including but not limited to developmental regression (i.e., autism), for children who’ve receive the CDC’s full schedule of vaccinations with children who’ve remained completely unvaccinated? An initial email to the AAP containing these questions went unanswered. The email was followed up with a phone call. Lisa Black, the AAP’s Media Relations Manager, assured that she would get back with answers to the questions. In a subsequent email, Ms. Black replied, “Please see information that AAP has posted for parents on this page”, which was followed by a link to a list of studies on the website HealthyChildren.org. However, none of the listed studies on that page supports the AAP’s claim that “vaccines prevent … forms of cancer”. None apparently considered the possibility of a susceptible subpopulation with a genetic susceptibility to adverse reactions to vaccines. And none compared health outcomes of fully vaccinated children with completely unvaccinated children. The list provided does contain numerous studies finding no association between vaccines and autism, but even the listed safety review by the Institute of Medicine (IOM) doesn’t go so far as to say that the hypothesis has been “disproven”. On the contrary, the IOM acknowledges that it is biologically plausible that vaccines might cause autism in a genetically susceptible subpopulation, but characterizes this hypothesis is still “speculative” and “unsubstantiated”. That is a world apart from saying it has been “disproven”. One would think that the IOM’s conclusion, if its inquiry was a scientific one, would be that since this is such an important question and this specific hypothesis is plausible and not well studied, therefore there should be further study into this question of whether vaccines could trigger autism at least in some children with a genetic predisposition to vaccine injury. Using an unsubstantiated hypothesis to question the safety of vaccination and the ethical behavior of those governmental agencies and scientists who advocate for vaccination could lead to widespread rejection of vaccines and inevitable increases in incidences of serious infectious diseases like measles, whooping cough, and Hib bacterial meningitis. In other words, since studying this hypothesis further would undermine public vaccine policy with its one-size-fits-all approach to disease prevention, therefore no further research to test the biologically plausible hypothesis should be done. The AAP was sent a follow up email noting that none of the studies listed appeared to support the claims it made in the press release. The AAP was welcomed to correct the record, but did not dispute the observation that none of the studies listed showed that vaccines can prevent cancer, considered genetic susceptibility to vaccine injury, or compared health outcomes for vaccinated and unvaccinated children. If the AAP cannot produce one or more studies that considered the possibility of a genetically susceptible subpopulation, how can it claim that any association between vaccines and autism has been “disproven”? If the AAP cannot produce one or more studies that compared health outcomes between children vaccinated according to the CDC’s schedule and children who remained unvaccinated, how can it claim that any association between vaccines and autism has been “disproven”? The AAP did not reply via email to the follow up questions. In a second phone call requesting the AAP to produce such studies to support its claims, Ms. Black replied that she had provided everything the AAP was going to provide. When confronted with the observation that none of the studies provided supported the AAP’s claim that vaccines can prevent cancer, she repeated that the AAP was not going to provide any additional information. When asked whether the authors of the press release, AAP President Fernando Stein and Executive Vice President Karen Remley, would like to comment, Ms. Black abruptly ended the phone call by saying she was going to hang up and then doing so. The questions seem pertinent, particularly given the fact that the government has acknowledged that vaccines can cause brain damage resulting in developmental regression. Now, we all know that vaccines can occasionally cause fevers in kids. So if a child was immunized, got a fever, had other complications from the vaccines. And if you’re predisposed with a mitochondrial disorder, it can certainly set off some damage. Some of the symptoms can be symptoms that have characteristics of autism. The context in which she was speaking was with respect to Hannah Poling, a child with a mitochondrial disorder who developed autism after receiving numerous vaccines on the same day and whose family was awarded compensation under the National Vaccine Injury Compensation Program (VICP). The VICP was established in the mid-1980s under a law that granted broad legal immunity to vaccine manufacturers. The government’s reason for doing so was that vaccine injury lawsuits were threatening to undermine public policy by putting vaccine manufacturers out of business. Around the same time as Gerberding’s admission, a former director of the National Institutes of Health, the late Bernadine Healy, criticized the refrain that any link between vaccines and autism has been debunked. She pointed out the kinds of studies that would be necessary in order to confidently draw that conclusion hadn’t yet been done. Specifically, she noted the lack of studies taking into consideration a genetically susceptible subpopulation. Ms. Healy also slammed the IOM for advocating that no further research be done and noted that as a potential cause of autism, “vaccines carry a ring of both historical and biological plausibility”. Similarly, in contrast to the AAP’s claim that any association between vaccines and autism has been “disproven”, one of the CDC’s lead researchers on that very question, CDC Director of Immunization Safety Dr. Frank DeStefano, admitted in an interview in 2014 that “it’s a possibility” that vaccines could trigger autism in genetically susceptible individuals. “It’s hard to predict who those children might be”, DeStefano observed, and trying to determine what underling conditions put children at risk of vaccine injury is “very difficult to do”. The AAP’s list of studies includes one or more for which DeStefano was an author. So how can the AAP claim that any association between vaccines and autism has been “disproven” when the studies that would be necessary to invalidate the hypothesis haven’t been done? That’s the AAP’s answer to the question, anyway. The AAP’s attitude should perhaps come as no surprise, given its close relationship with the vaccine industry. The AAP argues in its press release against the formation of a federal commission, but its argument would apply to any public debate about the safety and efficacy of vaccines. By the AAP’s logic, like the IOM’s, also unnecessary are any discussion about it in the media and any further scientific inquiry. Parents dubbed “anti-science” by the media are naturally curious why that label doesn’t seem to apply to those calling for no further inquiry into pertinent questions. Parents aren’t just asking legitimate questions about vaccines. They’re doing what most doctors haven’t and spending a lot of time researching vaccines themselves. And they’re not just going to “anti-vaccine” websites to research it. They’re organizing, sharing information, and digging into the medical literature for themselves. Parents can see the fundamental contradiction between public health officials and the media constantly insisting that vaccines are harmless even while the government grants legal immunity to the vaccine manufacturers on the grounds that vaccines are unavoidably unsafe and while the government manages a Vaccine Injury Compensation Program in order to shift the costs for damages and keep the vaccine manufacturers profitable — all to maintain public policy. Parents understand how government and industry funding influences the direction and findings of scientific research, and how the medical establishment that has given us soaring costs and a population in which nearly 40 percent are chronically ill will tend to justify itself despite its abysmal performance and a long history of being wrong time and again, from tobacco science (older generations may remember how the industry used to get product endorsements from doctors) to the USDA recommended high-carb diet (which has contributed to the obesity epidemic and is more about satisfying food industry lobbyists than providing science-based advise) to the role of cholesterol in heart disease (scientific research no longer supports the hypothesis that dietary cholesterol contributes to blood cholesterol and heart disease risk). Parents are aware of how government agencies like the FDA and the CDC serve the financial interests of the pharmaceutical industry. They see the corruption and the “revolving door” of Washington, such as how Julie Gerberding left her government job pushing vaccines as head of CDC to become president of the vaccine division for the pharmaceutical giant Merck. They see how the AAP, too, has an incestuous relationship with “Big Pharma”. They understand how willful ignorance goes beyond the individual operating within the system and becomes institutionalized. And they watch as an organization that influences how their child’s pediatrician practices medicine accepts money from an industry they feel the AAP ought to be protecting them from. They can witness how the AAP makes statements it claims are solidly backed by science, but which it is unwilling or unable to provide any studies to support. They understand that the truly “anti-science” position is the one that says no further scientific inquiry into an admittedly biologically plausible hypothesis is necessary. Parents know there are many studies that have found no association between vaccines and autism. They don’t need the AAP to point this out to them. But they wonder why the AAP ignores all the studies that do support the hypothesis. They wonder how the AAP can claim that the vaccine-autism hypothesis has been “disproven” when the most any of the studies it cites have concluded is that those particular studies, with their own particular focus, designed around their own particular assumptions, using a particular methodology, did not find an association between vaccines and autism. And parents are asking questions like: What was the actual purpose of the study? What were the underlying assumptions made by the authors? What vaccines were being studied, and what outcomes? Who were the study groups? What were the criteria for their selection? What was the study’s methodology? What are its strengths and weaknesses? Do the conclusions drawn follow from the actual findings? How conclusive is it? What does the study actually prove, if anything? Parents can see for themselves the huge disparity between what they are told science has to say about vaccines — by public health officials, the medical establishment, and the mainstream media — and what science actually has to say about it. The parents who are choosing not to vaccinate their children aren’t doing so because they are uneducated or unintelligent. On the contrary, studies show that they tend to be wealthier and more highly educated than the general population. They aren’t choosing not to vaccinate because they are ignorant of the science. They are choosing not to vaccinate because they are digging into the medical literature (which can be searched via PubMed.gov) and awakening to the deceit they see coming out of the government and the mainstream media. They see how mainstream journalists, rather than seriously investigating what the science actually says, rely on statements from agencies like the CDC and industry-funded organizations like the AAP to “inform” the public about the subject. They see how the establishment is seeking to stifle debate not by respectfully addressing their legitimate questions, but by bullying them into silence and conformity, and they understand how such a phenomenon can arise because institutions with a life of their own feel threatened by the truth and act to preserve the status quo. The AAP and other actors interested in preserving the public vaccine policy so far seem to have assumed that they can end the discussion by declaring authoritatively that there is no need for further discussion. But if they ever hope to truly end the discussion, they are going to have to start taking parents’ concerns seriously and answering their legitimate questions with more than disingenuous public relations talking points that might as well have been written by the vaccine industry.